Will Yahoo's new products have Google spooked? Get ready to see renewed effort put into email and search over at Yahoo Heights, as new CEO Marissa Mayer has been taking the onus off the company's finances. People familiar with what's what at Yahoo told the Wall Street Journal that the new CEO has had the company's stock ticker taken off the internal homepage. Staff also report that Mayer has a new company mantra, "I want you thinking about users." 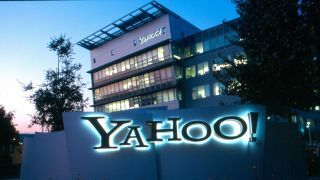 Although she's yet to reveal her plans for Yahoo and its products, people "with knowledge of the matter" told WSJ that her focus is on how to increase use of Yahoo search and Yahoo mail. To this end, the company will be looking to tie search and email in with social networking, mobile devices and location-based services to boot. It's a good move, but one that Google has made serious inroads into already – but hey, every journey begins with a single step, as they say.